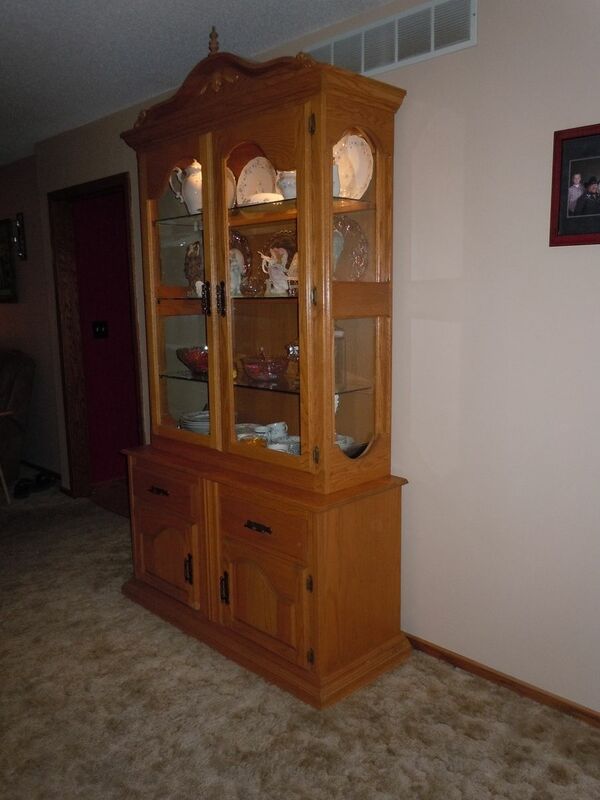 This is an oak bent top china hutch. It also has lighting in the cabinet that is controlled by just simply touching the hinge on the inside or outside. 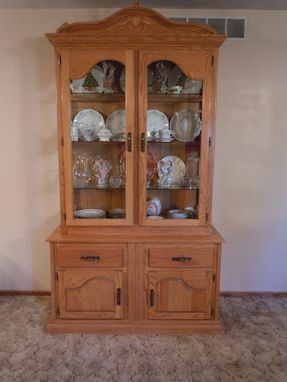 Everything that we make at Herl Custom Furniture and Cabinets, LLC is hand-crafted with all real solid wood.